Partnership with Coalition of Immokalee Workers and Fair Food Program inspires students to action during Farmworker Awareness Week. CHARLOTTE, N.C., March 25, 2019 /PRNewswire/ — For decades, farm work was one of the lowest paying jobs in the country, and workers were plagued by wage theft, sexual violence and forced labor. To honor the 20th anniversary of National Farmworker Awareness Week, March 25-31, Chartwells Higher Education, a recognized leader in contract food service management, sent eight Student Success interns from across the country to the Immokalee region in Florida to visit the Coalition of Immokalee Workers. The interns were part of a first-of-its-kind Chartwells-funded scholarship program and traveled to the region that produces 90 percent of all U.S. winter-grown tomatoes. The Student Success interns’ trip to the Immokalee region came ten years after Compass Group North America (the parent company of Chartwells) and the Coalition of Immokalee Workers (CIW) signed a landmark agreement that helped to launch the Fair Food Program (FFP), drastically improving harsh working conditions and brought recognition to the vital contributions farmworkers make to the American food system every day. In 2011, the CIW and large retailers including Compass Group, launched the Fair Food Program following the landmark 2009 agreement. The FFP harnesses the power of consumer demand to give farmworkers a voice in the decisions that affect their lives, and works to eliminate longstanding abuses in the fields. During National Farmworker Awareness Week these eight interns will lead a campaign on their campuses under the hashtag #ICareAboutFair. 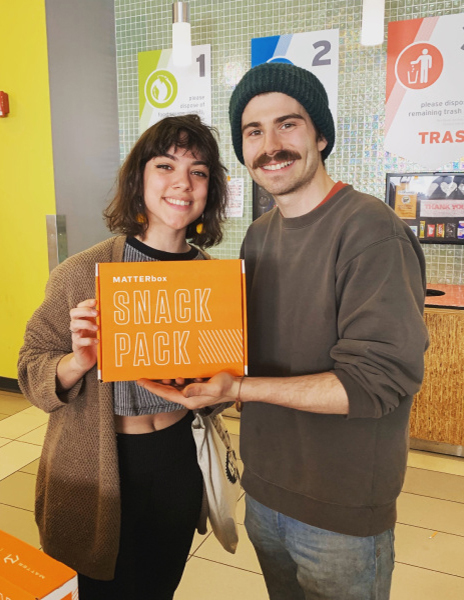 These student organizers will be executing fun and interactive educational sessions throughout campus spreading the word about this initiative and encouraging sustainer donations to the Fair Food Program. Some events include a pop-up farmer’s market, Chef’s tables, trivia nights and tomato-based challenges. For more information and to donate to the program please click here. Chartwells participates in #OneMillionActsofGood to provide healthy snacks and nutrition education to help fight food insecurity in communities nationwide.